Embrace the sprit of summer in the Lotus Odina peep toe shoe. 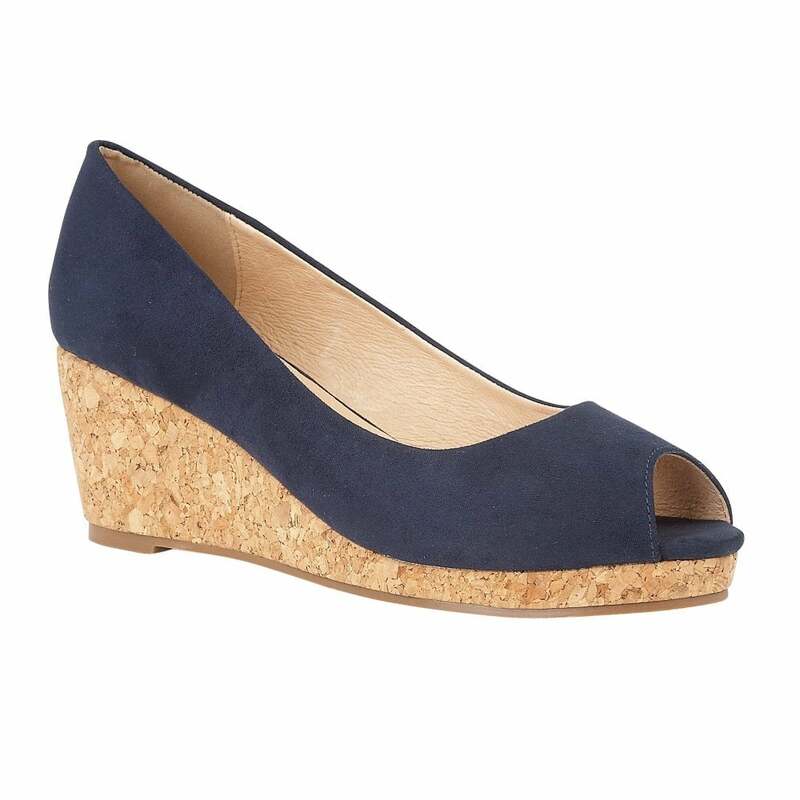 The 6.5cm cork effect wedge heel gives this understated Lotus ladies’ shoe a relaxed tone and has us dreaming of warmer climes, but it is cleverly combined with a navy microfibre upper to give this Lotus wedge shoe a versatile feel. This Lotus ladies’ shoe also boasts cushioned leather in-socks and leather linings to ensure optimum comfort.